Bushfallers are commonly known in Cameroon for flashing cash to girls ,driving big cars,speaking forreign languages,turning the clubs upside down with drinks or just condeming the state of the country. The last article i read about bushfallers was on kinaka'sblog where a Cameroonians photographer was condeming bushfallers who dont know their root. According to an article on world remit (a company specialised in money transfer online), about 1,201 billon dollars in 2015. This tells us how much the bushfallers are thining about home and ready to see Cameroon take another level. This is s huge amount that can create many opportunities in Cameroon. -construction of houses and others. The cities of Buea and Bamenda today are making it thanks to Cameroonians abroad . Many start up projects,schools,houses,hotels, and others are able to provide employment to Cameroonians in this part of the country where there is little industrial activities. Appreciations to Cameroonians in Germany and USA who are very active when it comes to digital marketing and online contribution in Cameroon. The comments, the tips,word of encouragement and other are helping me to stay focused in setting up my start up. Brice R.Mbodiman on investiraucameroon.com pointed out that the hustle to send money home is increasing . The amount of money trasferred to Cameroon has double in the past two years. This shows the continous efforst in developing Cameroon. How can we make use of this oportunities? Mobile banking and digital money transfer is becoming popular in many parts of the world. i beleive that if experts in technology and banking can come together with a way to send money online to Cameroon as the case with neighbouring Nigeria, it will go a long way to better the condition of Cameroonians . World remit, moneygram and western union seem to be the talk of the day. we are looking forward to get a Cameroonian start up into the business. How are you on you path contributing to the development of Cameroon? 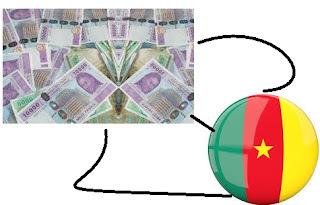 2015 STOCK TAKE : The Power Of The Cameroonian Diaspora (Bushfallers).